We were recently asked to photograph at Black Country Touring's 'Back in 10' production which were very wonderfully dramatised utilising the Black Country Living Museum as its backdrop. They brought to us the reality of life of 1930's Black Country in all its guises using fine actors, dancers, musicians, poets, script and the like. What really impressed us was the representation of Indians who were at the centre of the production. 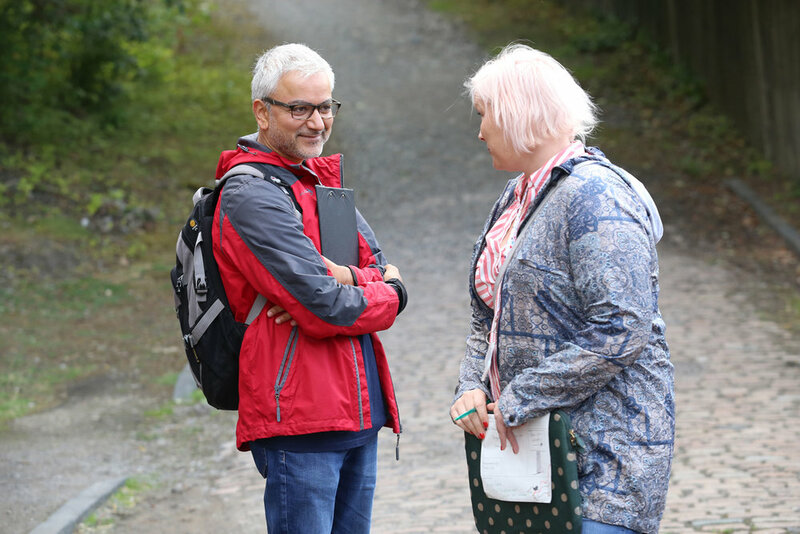 Black Country Touring has modelled its own path utilising diverse leadership and granting opportunity for Indian artists. Encouraging to see. Sonia Sabri dance performance for 'Back in 10'on the set at Black Country Living Museum. W-ton University graduate John Rogers on the set of 'Back in 10' at Gripton's Radio Stores. Actress Rochi Rampal dramatises hardships in 1930's Black Country at Gregory's store, Black Country Living Museum. Producer Bobby Tiwana from Black country Touring on the set of 'Back in 10'. Sabrina Nabi entertaining audiences on the set of Gripton's Radio Store at Black Country Living Museum.